[T]alk about demilitarizing the border so that the Saudis and the [United Arab] Emirates do not have to worry about missiles coming into their homes and cities and airports. [A cease-fire arrangement should] ensure that all the missiles that Iran has provided to the Houthis are put under international watch in parks somewhere, where they can be kept accounted for. Iran would never agree to that condition, or if it agreed, it would not honor the commitment. Iran already claims that it does not supply missiles to the Houthis, so Iran could agree to this condition and then just keep doing what it is doing. 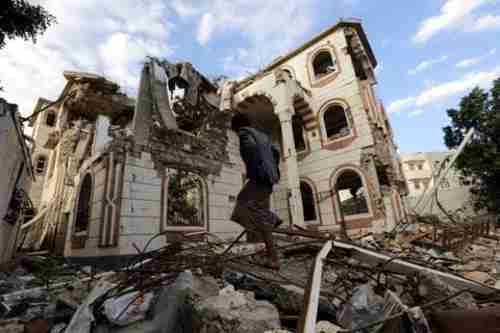 The traditional area for the Houthis is northwest Yemen, far outside the capital city Sanaa. The longer-term solution, and by longer-term, I mean 30 days from now, we want to see everybody sitting around the table, based on a cease-fire, based on a pullback from the border, and then based on ceasing dropping of bombs, that will permit the [U.N.] special envoy—Martin Griffiths, who’s very good, he knows what he’s doing—to get them together in Sweden and end this war. It’s time to stop [the Yemen war]. And right now, what the Iranians have done by bringing in anti-ship missiles … it’s interrupted freedom of navigation, they are the ones who keep fueling this conflict and they need to knock it off. This is all fantasy. None of this is going to happen. But what is interesting is that pretty much the opposite has happened. Fearing that U.S. support for the war might end in 30 days, Saudi Arabia has redoubled its attacks on Yemen’s al-Hodeidah seaport. Two hundred air strikes were reported in and around Hodeidah on Saturday alone. Artillery shells had also hit residential areas and temporary roadblocks had prevented people from leaving or entering the city overnight, in effect trapping them in an active conflict zone, it added. With so many people being killed in so many ways every day, it is somewhat startling to see that one particular murder, that of Washington Post columnist and Saudi national Jamal Khashoggi by other Saudi nationals in Istanbul on October 2, has been the cause of so much international chaos. There are three reasons for this, in my opinion. First, the murder was particularly gruesome, ordered by the highest officials in the Saudi government, and the body has not yet been produced. Second, Turkey’s president Recep Tayyip Erdogan has been dribbling out the facts of the case, so that every day there is a new revelation to embarrass the Saudi government. And third, the al-Jazeera news network, based in and funded by the government of Qatar, which has become Saudi Arabia’s mortal enemy, is doing everything possible to keep the story alive, with lengthy coverage of the latest in every newscast. The Khashoggi murder has also had geopolitical consequences. As I recently reported, Pakistan’s new Prime Minister Imran Khan was able to use the Khashoggi scandal as leverage to convince Saudi Arabia to provide $6 billion in aid. It now appears that the Khashoggi murder is also changing the direction of the Yemen war. The murder has strengthened the hand of activists in the U.K. and Washington who want Saudi Arabia to end the Yemen war. The statement by Secretary of Defense Jim Mattis, excerpted above, was an outcome of the Khashoggi murder. The Yemen war has been a disaster for Saudi Arabia. Despite repeated promises that the war would end quickly, the Saudis are completely bogged down in a seemingly never-ending war. They would love for Mattis’ recommendations to succeed, but in the end, that would hand Yemen over to the Iranians, and they cannot agree to that. However, we are already seeing unintended consequences, specifically Saudi Arabia doubling down on the violent assault on Hodeidah. The proposal by Mattis was a ceasefire by all parties, including Iran, the Houthis, Saudi Arabia, and United Arab Emirates (UAE), and then have a peace conference in Geneva. That was never going to happen and, if it did, it would have resulted in a “peace process” with no commitments honored by the parties. History shows that this kind of peace process will not work.